Janet Butler teaches ESL in San Francisco. She is the author of Searching for Eden (Finishing Line Press) and Upheaval, a recent winner of the Red Ochre Lit 2012 Chapbook Contest. 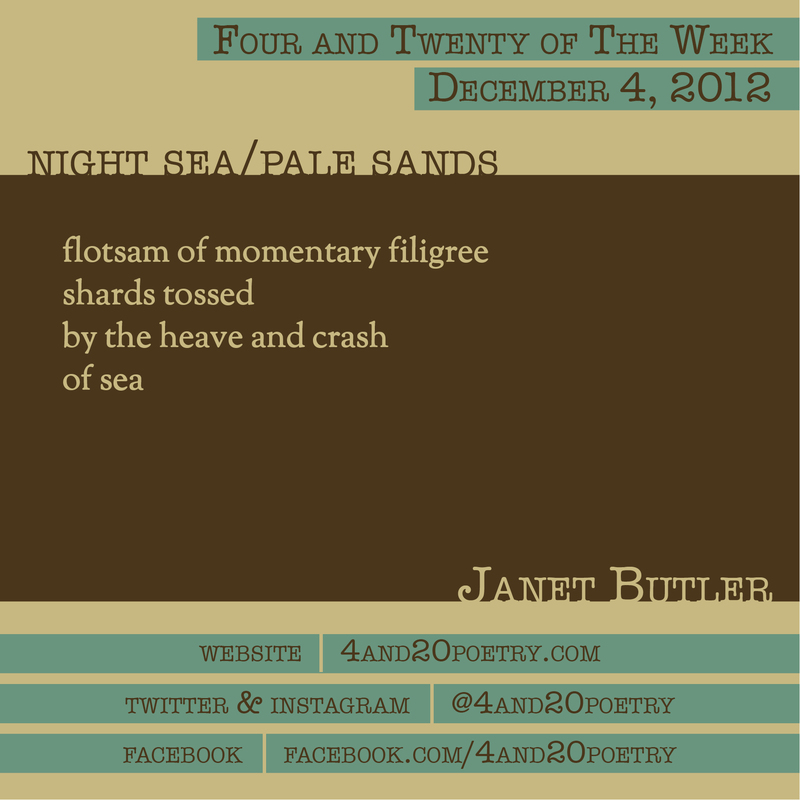 This entry was posted on Tuesday, December 4th, 2012 at 4:20 am and is filed under Four and Twenty of the Week, Micro Poetry, Poetry. You can follow any responses to this entry through the RSS 2.0 feed. Both comments and pings are currently closed.